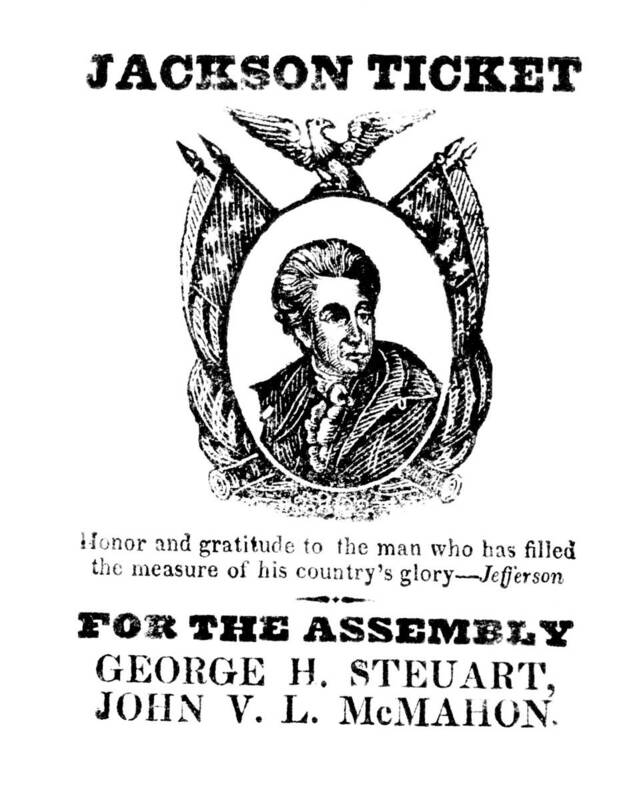 Prints number 1828-5 through 1828-10 make up a series of election tickets for John Van Laer McMahon and George H. Steuart, Democratic candidates for Baltimore delegates to the Maryland General Assembly in 1828. Each ticket bears a woodcut emblem and a motto. 1828-5 has a bust portrait of Jackson within an oval surmounted by an eagle, and flanked by American flags and cannon. The tickets were probably produced in Baltimore.